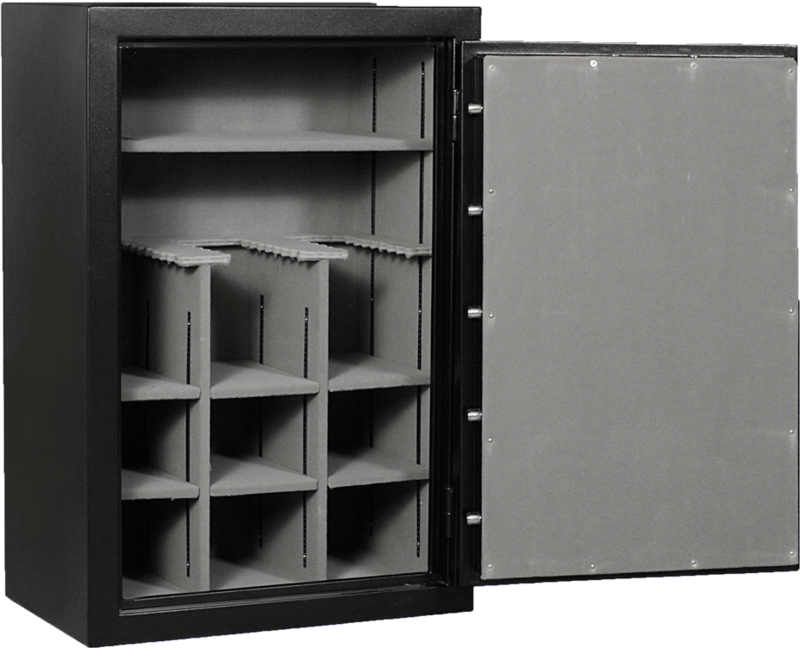 With a 30 long gun capacity, and 7 configurable shelves, StormX Gun Safes (1 Hour Fire Rating) are well equipped to store and organize most collections of firearms and accessories. StormX Guns Safes (1 Hour Fire Rating) also provide a number features to help prevent unauthorized access and damage from fire. For ease of access the safes use a UL Listed Type 1 electronic lock and 5 spoke, center mounted handle. The composite door features 3 layers of 5/8″ fireboard, a Palusol® heat expandable door seal, and a drill resistant hard plate to offer excellent fire and burglary resistance. The body is made from 12 gauge steel and is lined with 2 layers of 1/2″ fireboard. This allows the safe to carry a factory 1 hour class 350° fire label. In the case of an attack StormX Gun Safes are equipped with a spring-loaded relocker which will automatically trigger a secondary locking mechanism when the safe disrupted by excessive force. 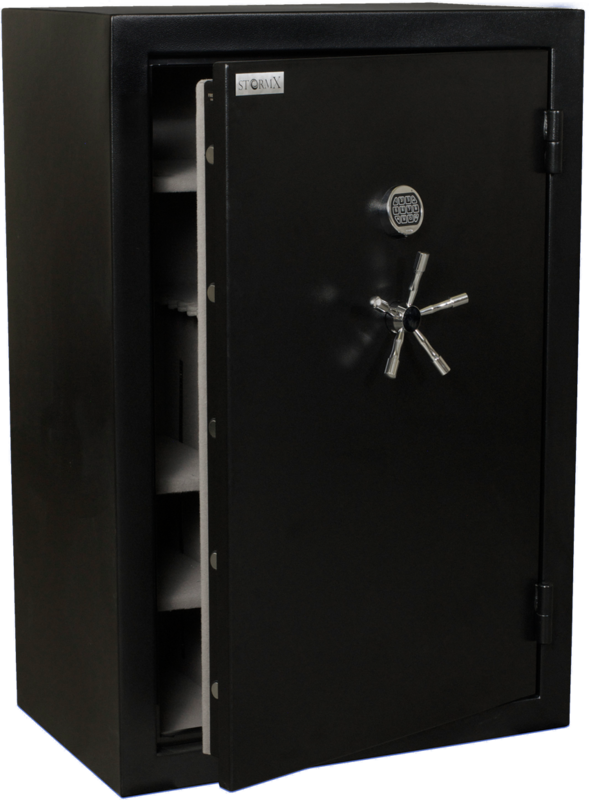 The safes have 4 way bolt work (bolts on top, bottom, left, and right or door) with a total of 14 bolts each made of solid 1 1/4″ diameter steel. The door is hung on heavy duty hinges, and the interior is lined with a soft carpet which will prevent scratches to guns and accessories inside.